Ink and Lace with Sheryl Cauble: FRESH BREWED DESIGNS BLOG HOP! 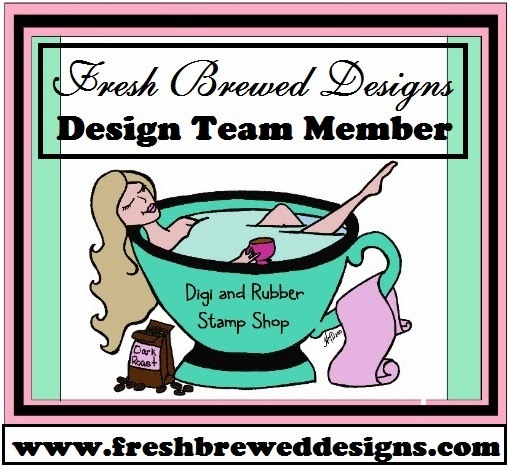 FRESH BREWED DESIGNS BLOG HOP! Welcome to Septembers Fresh Brewed Designs Blog Hop! This is our Biggest Blog Hop of the year! We have invited several guests to join in on the fun. you are right on track! Our Hop this month includes ANY AND ALL previously released FBD rubber stamps! You will see a variety of stamps from 2010 - 2012 from many talented crafters. my followers old and new! stops for your chance to win the blog hop prize package! Your NEXT stop is at Jessica's Blog. OOOOH!!! Where do I begin? I LOVE BAKING IN THE FALL! Love the smell of cinnamon and being warm in the kitchen and to step out on the deck into the cool crisp air. You have given me the 'Fall Bug' lol!!! I love these papers and the sweet tags! Gorgeous paper piecing!! Hope you have a wonderful weekend my friend. I wish apple pie was the blog hop candy you were giving away!!! I love apple pie with some cheddar on it - doesn't get much better than that...except maybe this card! This card is wonderful - has such a warm home, comfort food feel to it. Great image and super layout and embellishments. I always love your creations! How fun to be on the same blog hop together!!! Hugz! Sheryl, this is so fun and festive. Love those patterns on her dress and apron. Fabby tags, too. So happy to be joining the hop with you! Awesome card. Love the theme and colors. Fabulous paper piecing and love the choices for her dress and apron!!!! Those tags are just darling! All around cute card!!!! This is a great stamp Sweet as Pie! Love it and your paper piecing!! Such a great fall harvest...what better than a nice warm pie! mmmm.... i so wish i had a big heap of apple pie in front of me right now! i just love this fall card. i'm starting to get into the fall mood even though it's hotter than heck here. lol! beautiful work, Sheryl! happy weekend! Oh gosh this is so sweet. This stamp is great and I love what you did with it! I definitely need to get me some apple pie! How gorgeous Sheryl!!! I adore your paper piecing! She is now a baking fashionista!!!! I almost used this stamp too, changed my mind last minute. Enjoy the weekend. I'm ready for pie!!! Beautiful card!! Really sweet card Sheryl. And save me a bit of pie! So glad you're part of Heather's big celebration!! This is a fun stroll down memory lane for me!! Hi Sheryl! You did it again! Another fabulous card! I love it! Great job as always!!!! Hi Sheryl! This is the perfect autumn card. I love the colors and it really makes me feel like fall is in the air! I can almost smell the apples! Thanks for letting me hop! i love the card, Sheryl. i looked for how i could follow your blog via email, but missed that, so am a GFC follower. Love the blog candy, too. Thanks for sharing! Love that Pie lady stamp - and it is Apple Picking time... Great card Sheryl!! Cute card! I like how you used the tags on create more interest! this is a fantastic card--love all the embellies - they fit in perfectly with your gorgeous stamp! I love the tags and all the bright colors on your card! What a cute card. TFS. So pretty...love the paper piecing and the tags!